With so many games available for smart phones and mobile devices it’s hard to know where to begin. There are of course countless free games that it would be a monumental task to even list them all so I have chosen 10 of my favorite games from a variety of genera including sports, shooter, action, racing and role playing. They are all totally free to download and play however many rely on in-app purchases which are optional, so next time you feel a little bored or want to kill some free time download and try out one of these games. 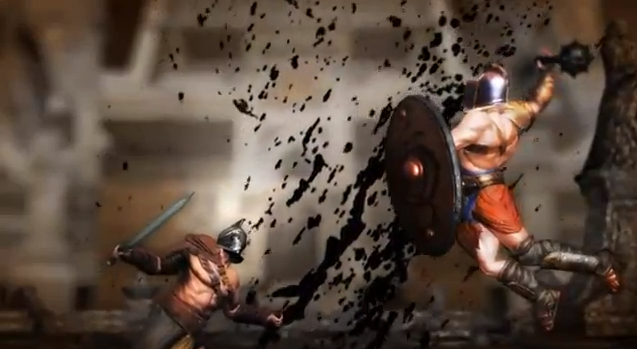 Take to the Arena as a gladiatorial warrior and start hacking your foes to bits. This is a bloody slashing first person fighter game where you chop and bludgeon your foe with a range of swords and other lethal weaponry as you dual for medals and honor. 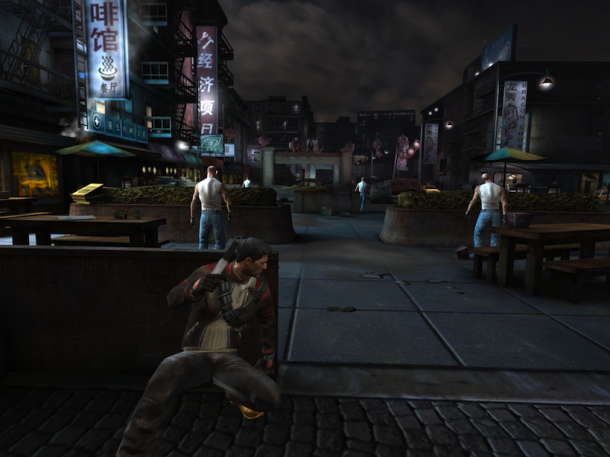 Featuring impressive visuals, special moves and combos this game offers the raw violence of the area this is great way to release some built up frustrations and stress. For the total gore fest version search for “BLOOD & GLORY (NR)”. 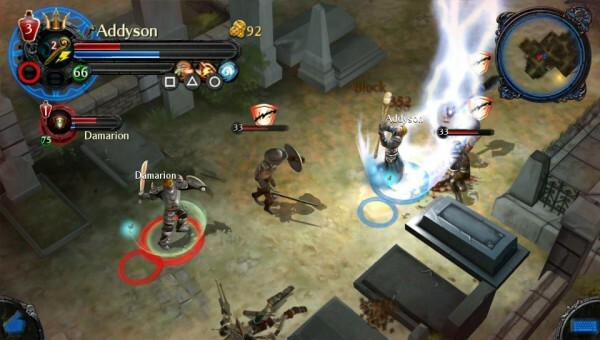 This RPG is a little bit like Diablo; you roam around dungeons and follow through a dark fantasy adventure while on the way slash and loot enemies and scarier bosses. There is the choice of 4 different warriors and as you gain experience you can level up and customize your gear and weaponry with the looted money you earn. You can embark on multiplayer action in cooperative arenas or take them all on by yourself in the PVP mode and team death match games. Endless fun and immersive story line plus multiplayer co-ops and head to heads give this game loads of scope and offers lots of fun. This game comes in five parts and while episodes 2-5 are purchased via in app upgrades episode One is free. Set in the same daunting universe as Robert Kirkmans award winning series. 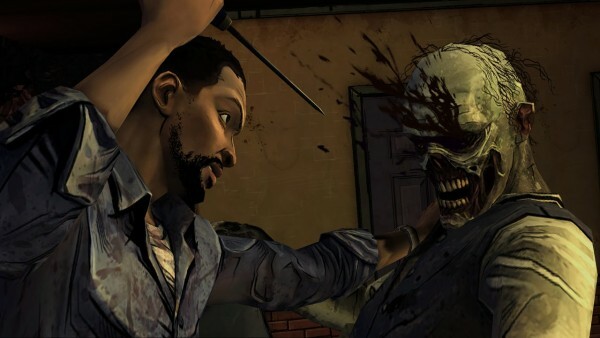 In this game you take on the role of Lee Everett, a convicted criminal who’s gotten a second chance in life, but has to contend with a world torn asunder by the undead. As you explore this doomed world you experience events and meet people that foreshadow the story of Deputy Sheriff Rick Grimes. You make critical decisions that affect the game play and determine the storyline and what events will unfold as the game plays out. The visuals are exceptional and the storyline offers a unique and exhilarating experience as you battle through a world plagued by the undead. 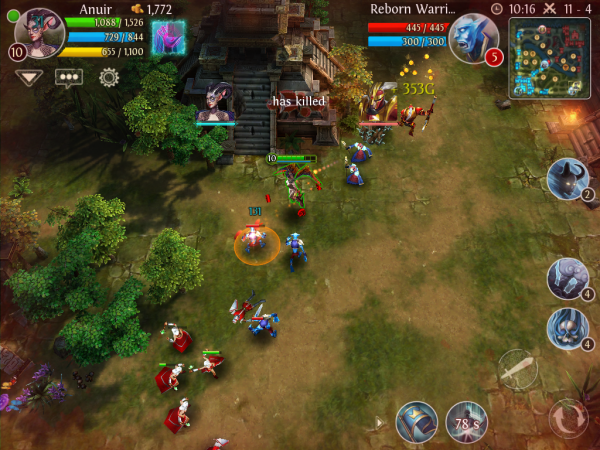 This is a new line on MOBA on Mobiles that pits players against each other in an online five on five combat arena where the heroes have to defend against waves of incoming AI and human enemies set on destroying the defensive towers and main base but need to in turn take out the enemies own base. While doing this the heroes earn gold purchase new equipment and level up between rounds and can even unlock new heroes to use with special perks and attributes. There are plenty of in app purchases if you wish but there are also many heroes that can be played for free and as this cycles regularly, you can have plenty of fun without spending anything other than your time and battery power. 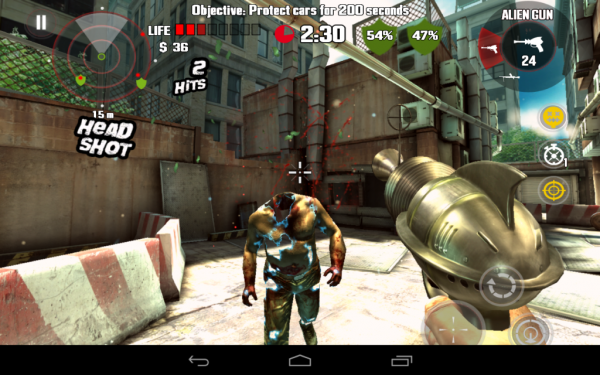 This free to download game is a stunning first person shooter game that sees you smash and butcher hordes of zombies with an array of weaponry. Set in modern day the fall of global economics has lead to a total collapse of civilization and suddenly billions of people were infected by a strange virus, those that didn’t die from this virus turned into butcherly beasts with the sole intent to kill anything still living. As one of a few people to have not been infected by the virus you need to learn how to stop the evil walking dead before your ammo runs out and along the way you explore the city, save other survivors and try to protect the safe haven while uncovering the haunting truth. In this game you’re thrown into the life of contract killer Jack Griffin and follow an intense storyline that combines long range sniper shots with hands on close and personal melee attacks. Personalize your kit for the contracts you take on, whether it be taking out high profile targets with sniper shots or creeping up to perform surprise close quarters attacks. You can collect killer club cards as you complete unique challenges and earn rewards and prestige which provides access to greater array of weapons. If you see yourself as a bit of an Evel Knievel then you will probably love this game. You race around a dirt track to the shouts and screams of adoring fans while jumping and flying through the air. 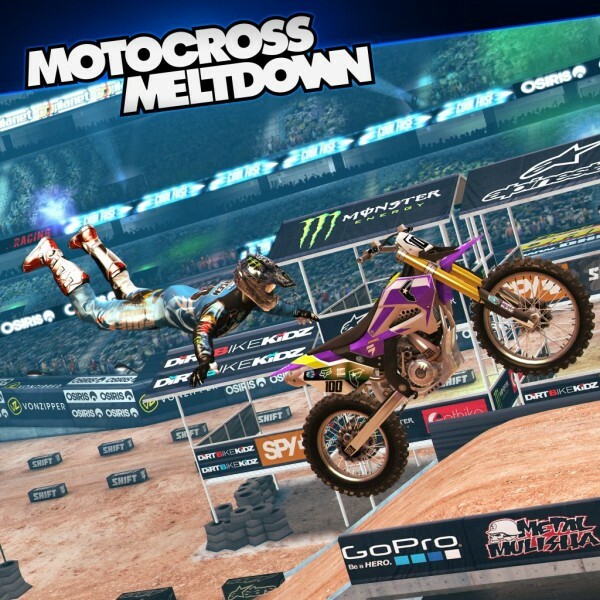 This high-octane racing action lets you get some big air and pull stunts in great HD detail. You can create your own rider and customize their look as well as upgrade skills to become the undisputed dirt bike champion going. What more you get to go head to head against the likes of real pros Wes Agee and Josh Hansen and make them eat your dust if you’re good enough. What more could you need. If you can’t wait until next year to watch the super bowl then this game may keep you busy for the next few months. Take control of your favorite team and manage your players and rosters as you not only get to play the game but can train and control many aspects of the team. This game lets you do it all; training and coaching the players, improving their skills and picking the plays. The in app purchases let you bring out the most in this game but even without those it’s well worth playing. 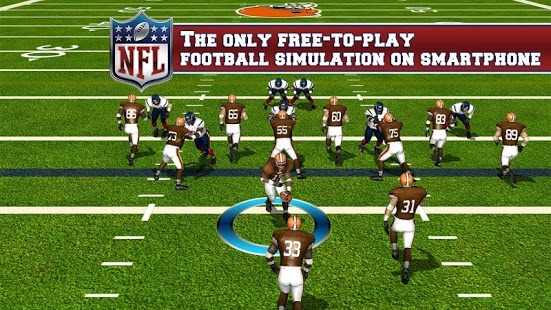 If NFL isn’t for you then try your hand at real soccer 2013. This is the latest in a series of free football simulations that let you control every part of the club from what happens on the pitch to the decisions of the manager. 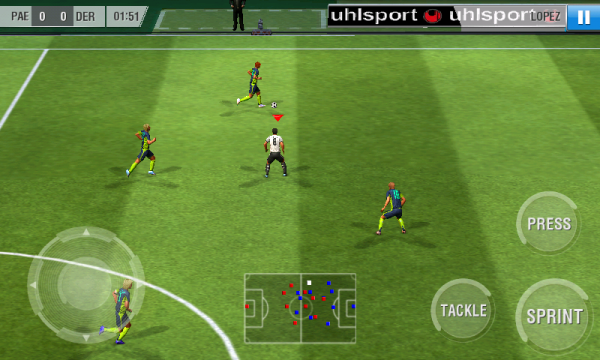 It has easy to use controls with sprint, pass and shoot buttons also with careful taps on the playing area you can pull out premiership moves to add some flair as you enjoy great game play. Off the pitch you get to build your team and upgrade the facilities, hire and fire staff as well as control merchandising, sponsorship and your team’s roster. As you play the game you earn coins which can be used to purchase upgrades so over the course of the play you improve the team and advance through different leagues, compete for silverware and take your team to the top. You don’t have to be a petrol head to enjoy this game, it features 111 licensed cars from 26 manufactures so you can buy, race and upgrade top of the line Ferraris or other cars in this realistic driving simulator. If you opt for the career mode you will have to learn how to handle different cars and pass tests before you’re let loose on the tracks. 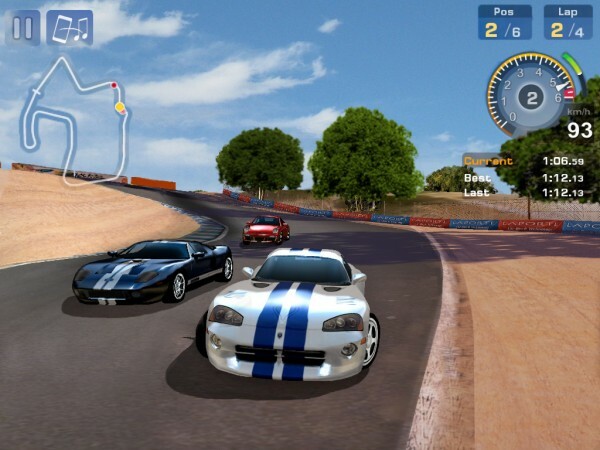 As you win races you unlock more and more cars that can be raced on a wide variety of tracks from Laguna Seca to urban street races and rally tracks. There’s the option to race against drivers from around the world with online multiplayer for up to 6 competitors as you test your skill against others. With the Xmas festivities just around the corner you will no doubt be attending a few parties and snapping some photos. 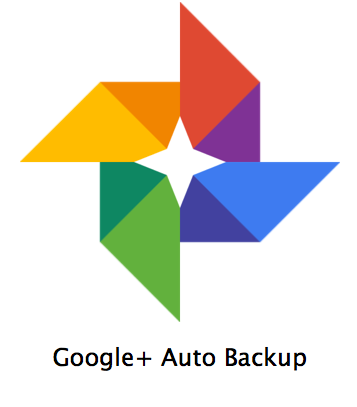 Google + lets you set Auto Backup options on your device to have photos and videos automatically backed up to the cloud on your Google + account. In order to use this service you just first have Google+ installed on your device. For Android users installing Google + will add a shortcut app icon to the Photos area of your account. Auto Backup is not enabled as a default option as it can use up a large amount of data service on your phone or tablet. When Google + is first installed you should be prompted about enabling the Auto backup option, if you didn’t see this option or which to enable it at a later time here is how you can access it. On your Android device open the Photos App. , and then select the settings options, indicated by the three little dots in the top corner. From the settings option you can select Auto Backup and then toggle the feature “on”. Google offers unlimited upload for pictures that are 2,048px or less along their longest edge and for videos that are 1080p resolutions or lower and shorter than 15 minutes. If your camera takes pictures of a higher quality than this and you want to keep all that detail you will have to adjust the settings. Go to the Photos App then enter the settings options and from the photo size pick your preferred resolution parameters. If you’re saving videos or photos larger than the free settings then they will count towards your Google Drive Storage quota and if you start to approach the limit of this storage you will receive a notification. When using Google + on Android you can select to sync downloaded media such as images from other apps to you could account. If you would rather not keep a copy of these files you can specify the folders to automatically sync with the Auto backup service. Go to the Photos app and slide out the left hand menu. From here select the “on device” option. After selecting this you will be presented with all the folders that are being synced with your Google+ account and can change their settings. From the photos APP on your android device click the three little dots in the top right corner and then enter the settings menu. 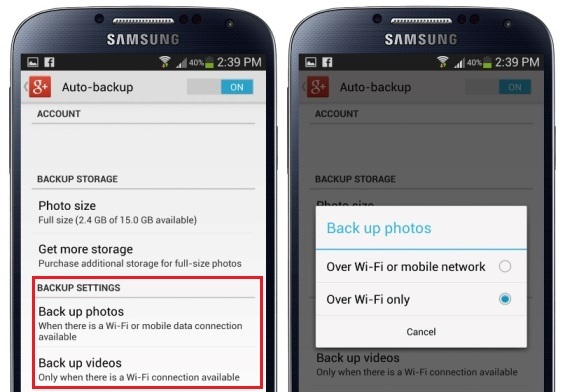 From the user backup settings tab select the “Back up Photos/videos” option and you will be presented with two options to chose from, these are Wi-Fi only and Wi-Fi or mobile network. Please note that uploading video and pictures over your mobile network will take longer and may incur data usage tariffs from your phones carrier or provider. Once you have backed up your files you can head to you Google+ account on the web to view the media. In the search box type in #AutoBackup and this will filter the photos that came from your device. You can use the AutoAwesome photos feature to animate media files. Always keep in mind that any data shared or uploaded to a cloud service may not be 100% secure so it’s advisable to treat personal or private files with extra caution. What does the 4K Logo Mean? The Consumer Electronics Association (CEA) recently announced new logos to designate 4K Ultra High-Definition TVs, monitors and projectors for the home that meet CEA’s voluntary core characteristics for 4K Ultra HD display products announced earlier this year. As devised by CEA’s Ultra HD Communications Working Group and approved without any objections by CEA’s Video Division Board, the logos are specifically designed to assist consumers in identifying these 4K Ultra HD products in the marketplace. The logos will be made available for voluntary use by manufacturers for product packaging, marketing materials and promotional activities. Two logos will be made available for use – 4K Ultra HD and 4K Ultra HD Connected – mirroring CEA’s voluntary characteristics, which were designed to address various attributes of picture quality and help move toward interoperability, while providing clarity for consumers and retailers alike. CEA also announced that its Video Division Board approved the use of 4K Ultra HD as terminology to be used by CEA to describe the emerging category of display products with more than eight million pixels – four times the resolution of Full HD. This updates the terminology adopted by CEA in October 2012 to provide more consistency across the market. 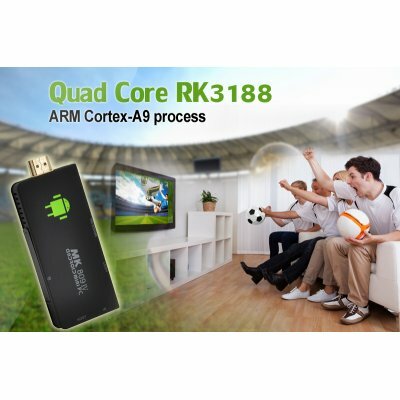 Changing your regular TV into an Android device is even better than having a Smart TV because you instead of the TV manufacturer are in charge of what Apps you can install and watch through your TV. 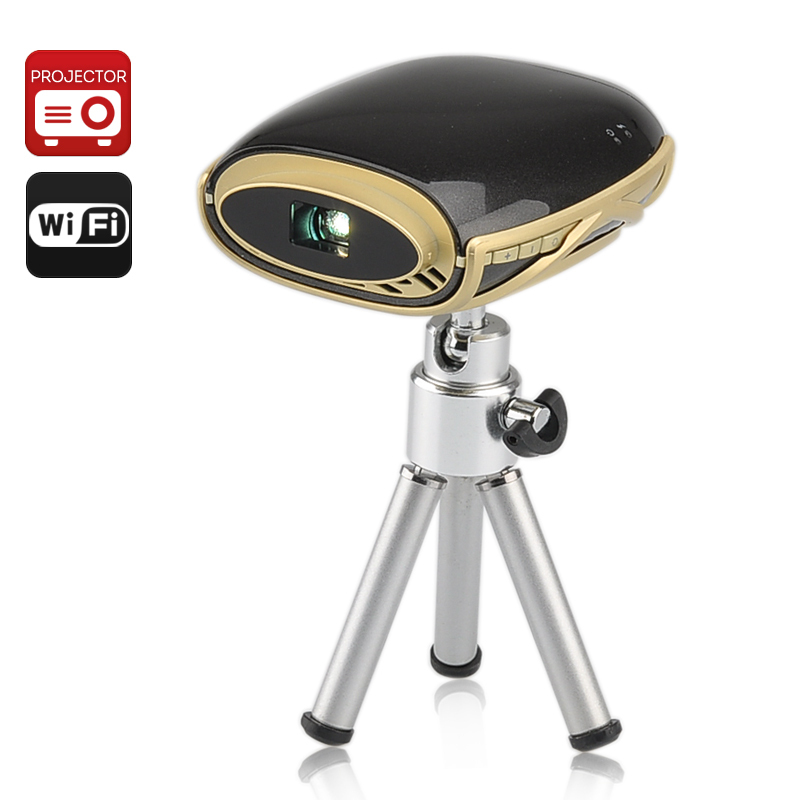 Because it is wirless you can project movies,photos or presentations onto any surface from your phone or tablet. Qnovo, an unusually named start-up in California, claims to have developed a new method to charge conventional lithium-ion batteries in unbelievably fast times. With this new technology Qnovo say you can get some six hours of phone life from just 15 minutes of charging this is a fraction of conventional charge times that are typically 1 to 2 hours. Qnovo explains that they achieved this by being able to identify exactly how much power you can put into a battery without damaging it. Over time lithium-ion batteries such as those in your laptop or smart phone will gradually lose their ability to hold a charge. This is to do with how a battery works, the anode and cathode materials in the battery will have tiny imperfections that can lead to crystals being formed. This crystal residue can change the structure of the battery and create a short in its circuit that reduces the batteries capacity. This degradation generally occurs when electrolytes are exposed to a sudden influx of ions in the charging process. Put simply each time you charge a lithium ion battery it is exposed to a sudden jolt of electrical current that creates an influx of power which in turn degrades the battery slightly by causing mini short circuits. That then reduces the batteries capacity. Now manufactures aren’t stupid so to avoid this sort of battery degradation they reduce the charging current of a battery to a slow trickle, this reduces the damaged caused and results in a longer battery lifespan but it’s at the expense of very slow charging. Qnovo however, appear to have developed a way around this slow charging time. They have devised a system that can determine just how much charge you can apply to the battery without causing damage. This intelligent feedback loop constantly measures the amount of charge that can be applied without damaging the battery and adjusts the charging current accordingly to optimize charge times and reduce battery degradation. The technology is being developed in the form of a chip that can control the charging circuit on a device or alternatively as a piece of software. If the development proves fruitful then it could easily be applied to many phones and other mobile devices to provide faster and better optimized charging, which would be of huge benefit and obviously reap some serious financial rewards for the company. You can learn more from the extremetech website. Working alongside the USB 3.0 Promoter Group, the Video Electronics Standards Association (VESA) has leveraged a DisplayPort “Alt Mode” to sort full audio/video on monitors with resolutions of 4K and above with the Type-C tech. 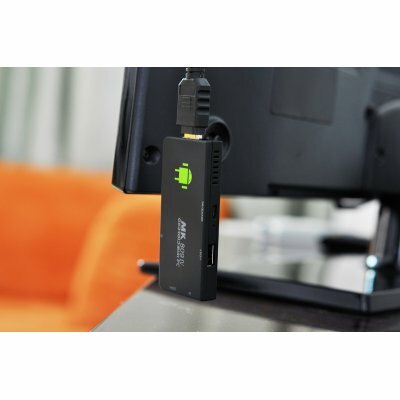 What’s more, with the help of an adapter or converter cable, the new standard can be made to play nice with regular DisplayPort, HDMI, DVI and VGA jacks on existing displays. To wrangle video and sound, the alternate mode leverages a couple of the Type-C connector’s so-called SuperSpeed lanes to deliver the goods to that external monitor — leaving the others to data transfers alongside that 100 watts of power. 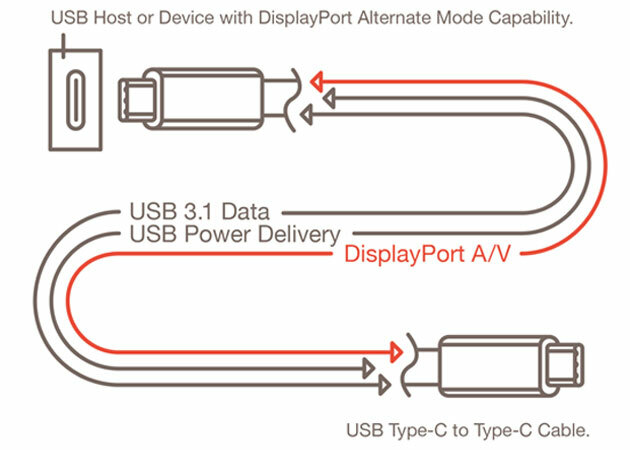 Of course, DisplayPort tech has been available in Thunderbolt cables/jacks for some time, but the new USB kit looks to be “a single-cable solution” that’s sure to clean up that mess of wires under your desk.